Actor Terrence Howard, who plays the father of Jussie Smollett's character on "Empire," has expressed support for his fellow cast member amid allegations that Smollett staged a racist, anti-gay attack on himself. Howard, who plays music mogul Lucious Lyon on the Fox television series, took to Instagram and posted a video of Smollett holding a giggling baby boy with the message: "All your lil homies got you... We love the hell outta you." The post on Saturday came a day after "Empire" producers announced that Smollett's character, Jamal Lyon, would be removed from the final two episodes of the season, saying cast and crew were affected and they made the move "to avoid further disruption on the set." The series, which is on a midseason break, returns March 13 with nine episodes. 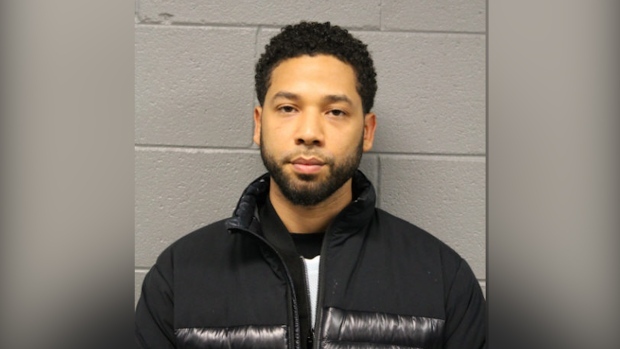 Seven episodes were already completed before Smollett was charged last week with felony disorderly conduct for allegedly filing a false police report. Police say Smollett, who is black and gay, claimed two masked men attacked him last month in downtown Chicago, hurling slurs and looping a rope around his neck. Investigators say he planned the hoax, soliciting the help of a friend and the friend's brother, because he was unhappy with his salary and wanted to promote his career. Some "Empire" cast members posted supportive messages on social media after Smollett claimed he was attacked. Fox also publicly supported Smollett after the initial claims. Howard's post generated more than 385,000 views by midday Sunday and countless comments, both critical and supportive. In response to one of the critics, Howard wrote: "sorry you feel that way but that's the only Jussie that I know. The Jussie that I know could never even conceive of something so unconscious and ugly. His innocence or judgement is not for any of us to decide. Stay in your lane and my lane is empathy and love and compassion for someone that I've called my son for 5 years. It's God's job to judge and it is ours to love and hope, especially for those that we claim to have loved. There's nothing more harmful than a fake friend! Real talk."